On Thursday, September 20, the federal government will be conducting a nationwide test of the Emergency Alert System (EAS) and Wireless Emergency Alerts (WEA). The federal alert system, which was put in place during the Obama administration, will conduct the first-ever nationwide test of the Presidential alert feature, which was designed to alert the country during times of extreme national emergencies. The WEA presidential alert test message will be sent to cell phones that are connected to wireless providers participating in WEA, which includes Verizon, AT&T, Sprint, T-Mobile and more than 100 smaller carriers. WEA was technically launched in April of 2012 by the Obama administration when they required cell phone companies to start chipping phones so that they could receive the presidential alerts. But you would never know that it was actually an Obama administration initiative by the way the dipshits in the media are yet again freaking out and lying to the public. 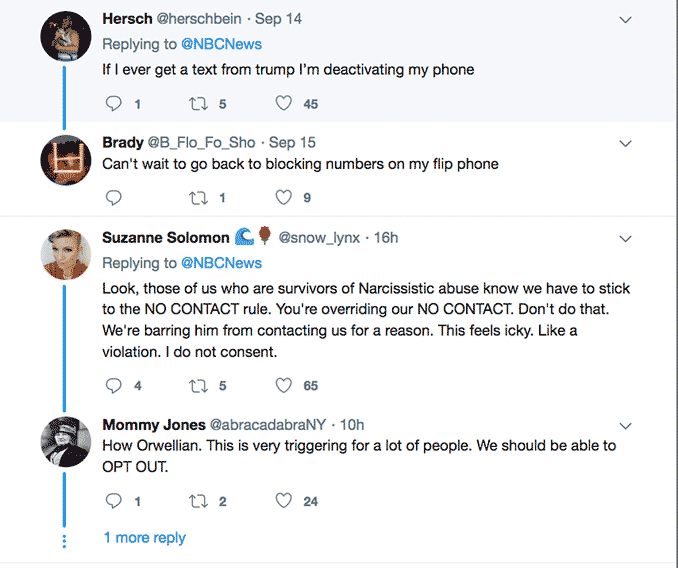 Media trying to convince Public that Trump is taking over their phones; Mentally Ill Sheep collectively freak out on Twitter! 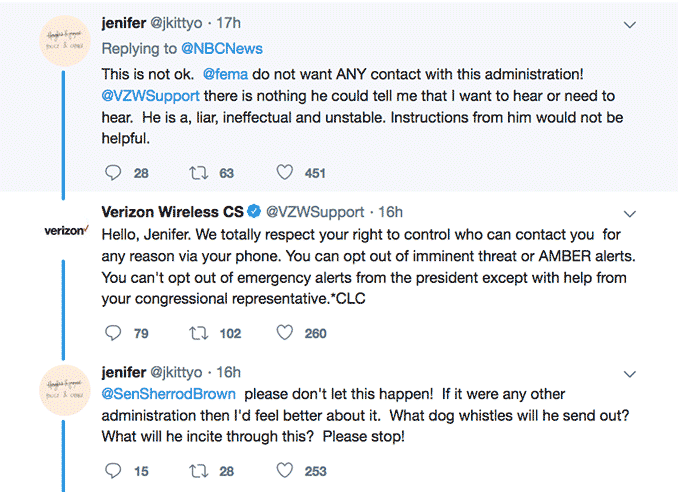 When the system was being designed during the Obama administration we talked about the possibility of the alert system being abused and used as a political tool; of course, dipshit liberals attacked us and accused us of being bigots who were just going after the Obama administration. These same assholes have now become civil libertarians for the day and are pretending that this had nothing to do with Obama and that this is a ploy by Donald Trump to send the American public propaganda via their cell phones. CNN, MSNBC, and a host of other liberal media outlets who praised Obama when the alert system was announced in 2012 are now all living up to their fake news motto, and running hit pieces claiming Trump is abusing his power and is trying to use the technology to push his propaganda on the public. You really can’t make this up; the same assholes who applauded Obama are now screaming foul! Here are some some of the fake new idots trying to convinve you this is the end of the world.